When you go to the translation section of our website, you will see that we mention that we as a company translate ideas, and not word for word. This is nothing revolutionary and is essentially common sense in regards to translating. All languages throughout the world have their own unique syntax and logic. When translating or interpreting from one language to another, we as translators and interpreters must respect the idea that must be changed from one language to another and not simply the word for word translation. All good translators and translation agencies utilize this tactic. For this reason, when searching for sound translation and interpretation services, it is essential that understand the concept of translating ideas as opposed to translating simply word for word. As we said in our last post, you see a lot of bad translations out there, not just from China, but all over the world, where people either translate word for word, or not into the correct different logic, syntax or sentence structure. As mentioned, sound translation and interpretation does not translate word for word, but instead translated ideas across languages and cultures. The following are some basic and somewhat amusing examples for English speakers who speak essentially no Spanish on how different languages express the same concept in different ways. I am hungry – “Tengo hambre” or literally put “I have hunger” In the United States we of course would all correct our child he or she told us “I have hunger” prior to dinner. Remember that Spanish is a romance language and it is far more demonstrative and emotional than English in many instances. The fact that a Spanish speaker says that he “possesses” hunger is in line with this different logic. The Spanish coloquial word “ahorita” is ubiquituous in Mexican and Latin American Spanish but can have varied meanings because of the Mexican concept of time. If you look up ahorita in a English/Spanish dictionary you will find that it it can mean “right now” “right away”, “shortly, in a minute” or “just now or a minute ago”. These contrasting meanings for the same word to mean past, present or immediate future of an action or condition doesn’t make much sense in English logic. We in the English logic cannot comprehend how the same word or terminology could mean “just a minute ago” as well as “shortly”. Someone translating the word “ahorita” from Spanish to English will be better off if he or she has some bit of cultural understanding of the context of the word and the context of the sentence. It’s cold, it’s hot – “hace frio”, “hace calor” – or “It’s making cold”, “it’s making heat”. Going back to the point that the romance languages are far more emotional than English, the fact that they say “It’s making cold” is in line with this more emotional way of expressing things. 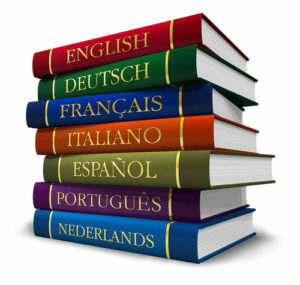 We will delve deeper into translation dos and don’ts, strategies and trends in the market in future blog posts. This was a rather simple post that once again is geared toward English speakers with almost no knowledge of Spanish, but with the intent to educate people on the logic of different languages. Please be aware when translating or interpreting for all international business purposes that culture matters. When choosing a translator, interpreter or agency, make sure that whomever you choose knows what they’re doing and/or has a good reputation. It is also important to note that the when translating, the translator should usually translate FROM HIS SECOND LANGUAGE INTO HIS FIRST LANGUAGE. This is only logical as the final document should be written by a native speaker. There are exceptions to this trend should the translator be what we like to call “a dual native speaker”. This is an individual who speaks, speaks, reads and writes 2 languages in a perfect, flawless manner. More on all of this in future posts!